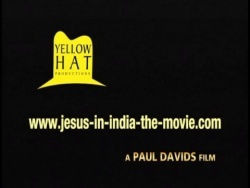 ABOUT YELLOW HAT PRODUCTIONS, INC. AND PAUL DAVIDS PRODUCTIONS, INC.
JESUS IN INDIA is the first production of Paul Davids Productions, Inc., a Nevada corporation, and distribution rights were assigned to Yellow Hat Productions, Inc., located at 5190 Neil Road Suite 430 in Reno, Nevada 89502, U.S.A. Yellow Hat Productions, Inc., in turn, has assigned U.S. domestic and international television distribution of JESUS IN INDIA to Universal City Studios LLLC, a division of Universal Pictures. The U.S. premiere will be on the Sundance Channel, a prestigious cable network which spotlights important independent films. Yellow Hat Productions, Inc. was established in 1999 with the production of “STARRY NIGHT,” an independent feature produced by Paul Davids and Hollace Davids, who serve as President and Vice-President of Yellow Hat respectively. For over a decade, Hollace Davids has been Senior Vice-President of Special Projects for Universal Pictures, and for three years she was President of Women in Film in Hollywood. Paul Davids was Marvel Productions’ production coordinator for the original “THE TRANSFORMERS” TV series (many episodes of which he also wrote), and he went on to executive produce and co-write Showtime’s now-classic film, “ROSWELL” (1994), nominated for a Golden Globe as Best Motion Picture for Television. He made his directorial debut with the feature documentary “TIMOTHY LEARY’S DEAD” in 1997. The husband and wife team are also noted for authoring six “STAR WARS” sequel books in the early 1990’s for Lucasfilm, published by Bantam, which sold millions of copies worldwide and which came out in many languages. Those books include THE GLOVE OF DARTH VADER, THE LOST CITY OF THE JEDI, ZORBA THE HUTT’S REVENGE, MISSION FROM MOUNT YODA, QUEEN OF THE EMPIRE and PROPHETS OF THE DARK SIDE. Paul Davids decided to produce and direct JESUS IN INDIA after reading Edward T. Martin’s book KING OF TRAVELERS: JESUS’ LOST YEARS IN INDIA and also studying the writings of Paramahansa Yogananda about Jesus’ purported travels to India.